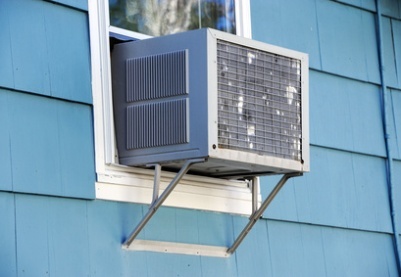 Mold in window air conditioner units is particularly problematic for a couple of reasons. First, it's difficult to clean those window units adequately and in fact, it's usually cheaper to just buy a new air conditioner. Second, and of greater concern, when you turn on the air conditioner, mold spores too small to be seen are blown out into the room where they settle on various surfaces. Mold may then begin to grow there. We'll tell you how to determine if there is mold in a window air conditioner unit and if so, what you need to do to make sure your home is once again free from potentially harmful mold. How Do You Know if There Is Mold in Window Air Conditioner Units? You might be able to see mold on the unit itself or on the filter if you remove and examine it. You might smell a musty odor characteristic of mold when the air conditioner is turned on. 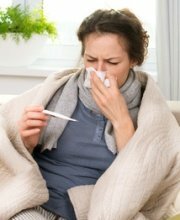 You might also be experiencing mold-related health problems like coughing, sneezing and respiratory problems. If you're not sure whether or not there is mold in your air conditioner, you can have a mold remediation professional come in and inspect it. They will also inspect the wall around the unit in case there was a leak. What Should You Do if You Suspect Mold in Window Air Conditioner Units? To start with, don't turn on your air conditioner. If it's on, turn it off and leave it off until you can confirm that it is free of mold or replace it. 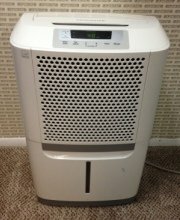 The U.S. Environmental Protection Agency (EPA) advises against using an air conditioner that might have mold in it because the air will blow microscopic mold spores into the room. Those mold spores, too tiny to be seen, are easily inhaled and can make you ill. As long as the air conditioner is blowing air into the room, the mold spores will be floating around in the air. As soon as the air conditioner is turned off, though, the mold spores will land on various surfaces, such as the carpet and furniture, and mold may begin to grow there if the conditions are right. You can visually inspect your window air conditioner for signs of mold. 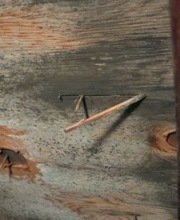 Use a good light source and look carefully for any visible mold. Remove the filter and inspect it carefully, as well. You should know, though, that mold may be present even if you don't see it. In small amounts it can be difficult to see mold, and depending on where in the air conditioner unit the mold is growing, it may be very hard to see it without taking apart the unit. You could call in a professional mold tester to test the unit to determine if there is mold in it but it would probably be more affordable in the end to simply go out and buy a new air conditioner. Most window units are pretty affordable these days. If you think there might be mold in your air conditioner, there is a good chance you're right. You could pay a professional to test the unit for mold and then, when your suspicions are confirmed, go out and buy a new air conditioner. Or you could skip paying for the mold test and just go buy a new unit. You'll probably save money doing it that way. What Should You Do if You Determine There Is Mold in Window Air Conditioner Units? You should begin by getting rid of the moldy unit. Don't turn it on. Just remove it. If you must carry it through your home in order to get rid of it, wrap it securely in heavy plastic first, so that you don't scatter mold spores throughout the home as you remove it. Unfortunately, that's not enough to ensure your home is mold-free, however. Due to the likelihood that mold has already spread throughout the room, we recommend you inspect carefully for signs of mold elsewhere. We suggest checking around the window in which the air conditioner was installed, on the wall and maybe even inside the wall (you can read about mold in walls here), on the carpet, on the furniture, and inside the heating ducts. A bright flashlight will help you check for mold in hard-to-see spots. If you'd like help making sure the room is free of mold, you can schedule a free consultation with a mold remediation professional, who will visit your home, inspect for mold, and advise you about any mold remediation work that needs to be done. There's no cost and no obligation. To find experienced professionals offering free consultations in your area, just follow the link.